There’s only one search engine that’s managed to become a dictionary-recognized verb — even Microsoft admitted defeat in its campaign to get people to “Bing” things. It’s generally accepted that if you need to find something on the Internet, you go to Google. But have you tried the other options? 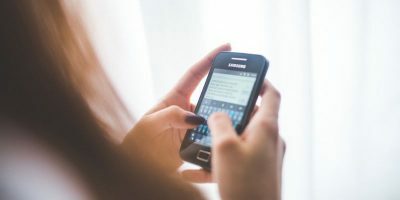 Sure, Bing didn’t get into the Oxford English Dictionary, but it’s still around, along with a few other Google competitors that promise everything from better layouts to more privacy. 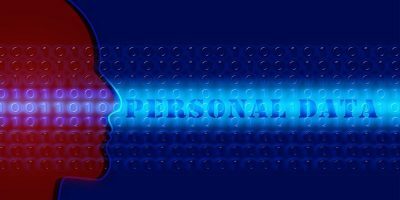 Related: What Is the Best Search Engine for Privacy? For our test we’ll look at the top five search engines (except Baidu, which is not available in English), as well as DuckDuckGo (for the privacy) and Dogpile (because it once reigned supreme). I’ll also do five to ten more searches per engine per category to make sure I’ve got a fairly balanced view of how each one works. To make sure that my own search history/browsing activity isn’t influencing the results, I’ll be using a private tab in Firefox with a whole suite of privacy and anti-tracking tools turned on, opening each search engine in its own separate container tab and browsing behind a VPN located in New York City. This should keep the results fairly generic. 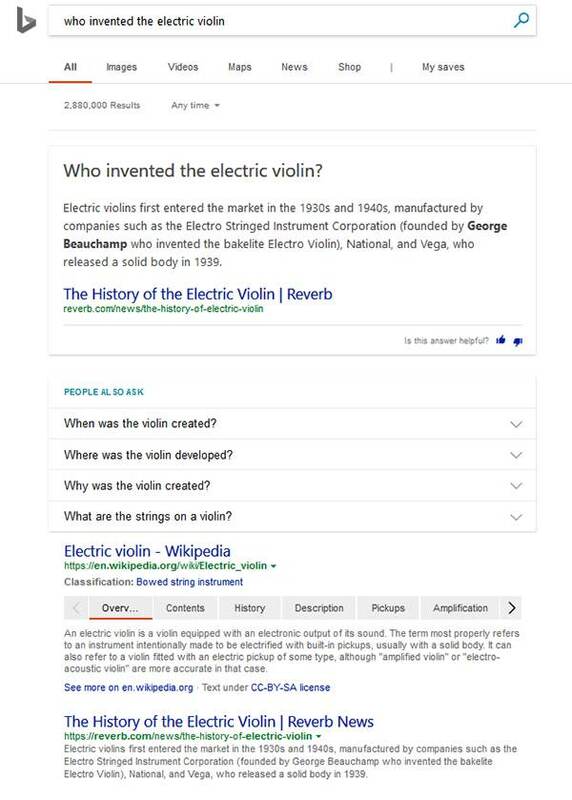 The first question is “Who invented the electric violin?” It’s tricky because it’s not a very common question, and the answer is partially a “best guess.” According to Wikipedia, it may have been blues musician Stuff Smith, so ideally, that name will come up on top. 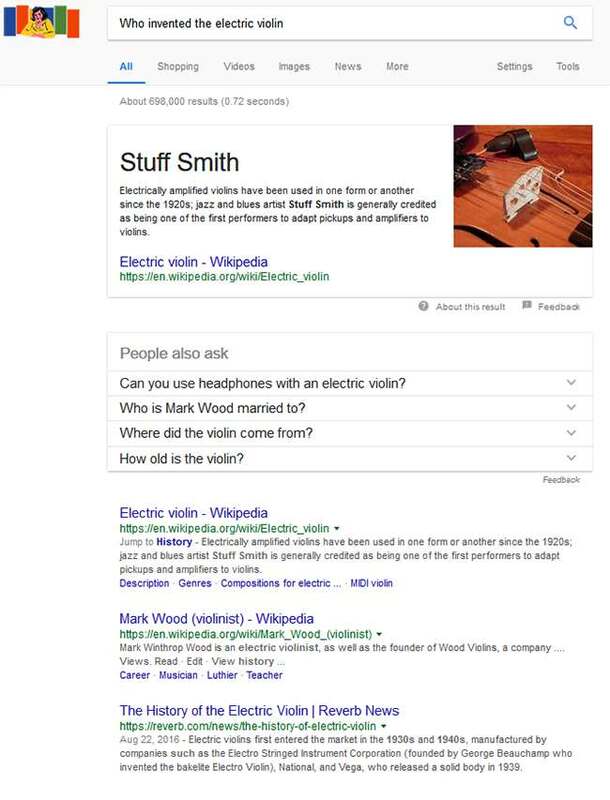 Google wins this round, as it was the only search engine that returned Stuff Smith as its top result. 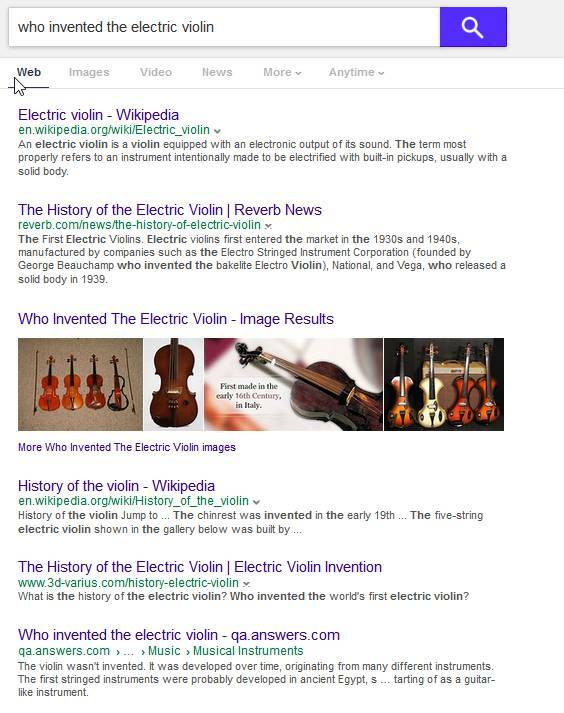 It did it by looking at the same Wikipedia article on electric violins that all the other search engines returned as their top result, but it had the edge by being smart enough to extract the relevant information. All of the other search engines gave me a bunch of links that contained this information, so I was only a few clicks away from the answer, but Google’s featured snippet was spot-on. 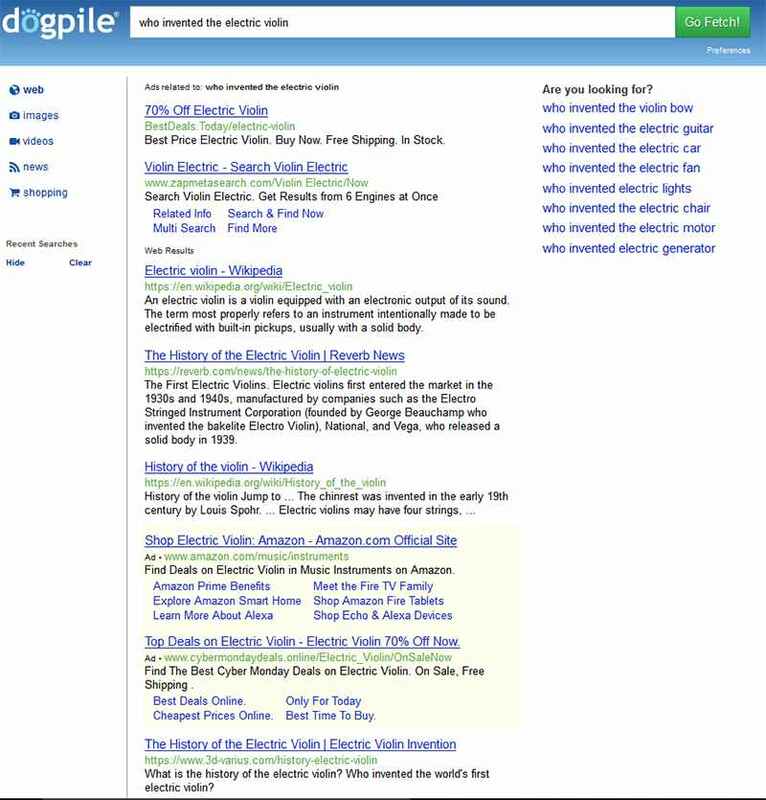 Dogpile goes in the doghouse — it returned the Wikipedia article, but most of its results page is taken up by ads. Nothing really changed on my follow-up searches. Google is just overall the best at finding facts. 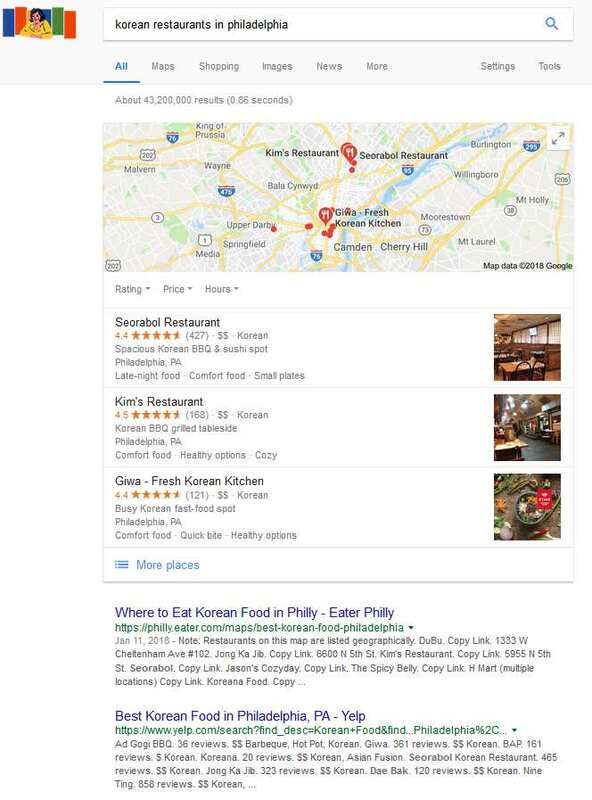 With “Korean restaurants in Philadelphia” we’re looking for a relatively rare type of restaurant in a fairly big city, which means a good search result will generally bring up the same few restaurants, preferably with quick access to reviews, locations, and pricing information. 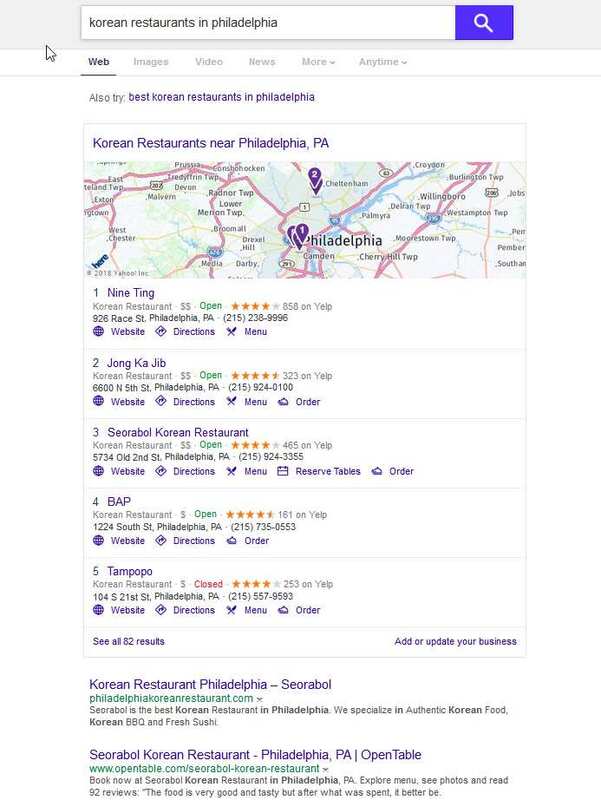 Google Maps has more useful information, but Bing’s front-page results are quite a bit better off the bat. 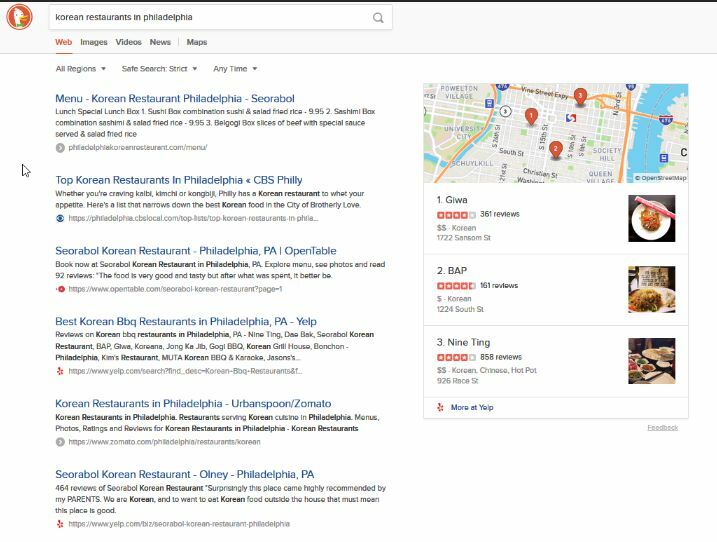 They display a list of results with ratings, prices, and pictures right at the top of the screen – the Yelp integration helps quite a bit. 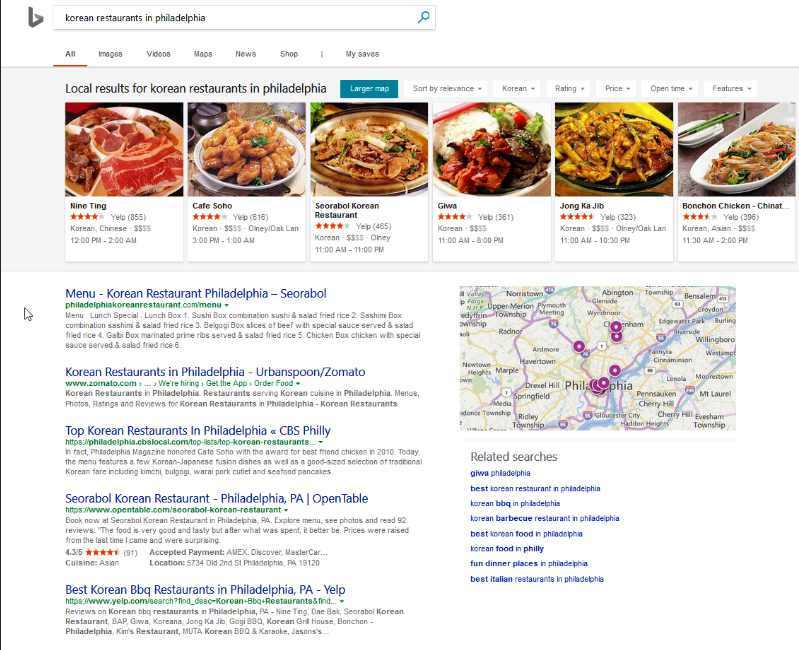 Google would take some more work to find a restaurant, while you could theoretically just glance at Bing’s results and find one that looks good. Yahoo and DuckDuckGo are actually almost equal to Google here; though again, if you take advantage of the Google Maps integration, there’s no contest. 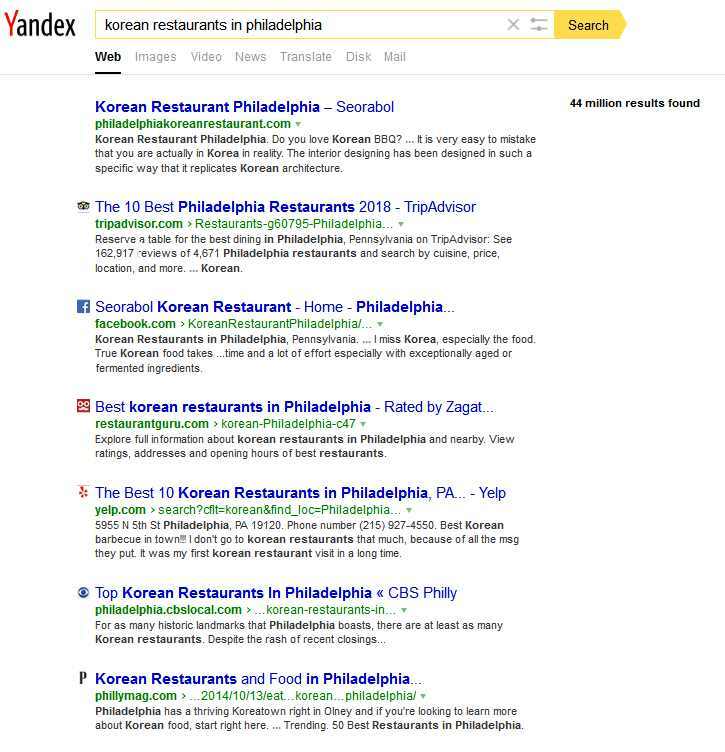 Yandex is just a wall of somewhat-helpful results, and once again, Dogpile comes out looking pretty bad – there’s no map, no clear recommendations, and there are unclear divisions between ads and results. My follow-up searches yielded similar results, though Google got some points back for being able to offer more information about flights and other transportation options. 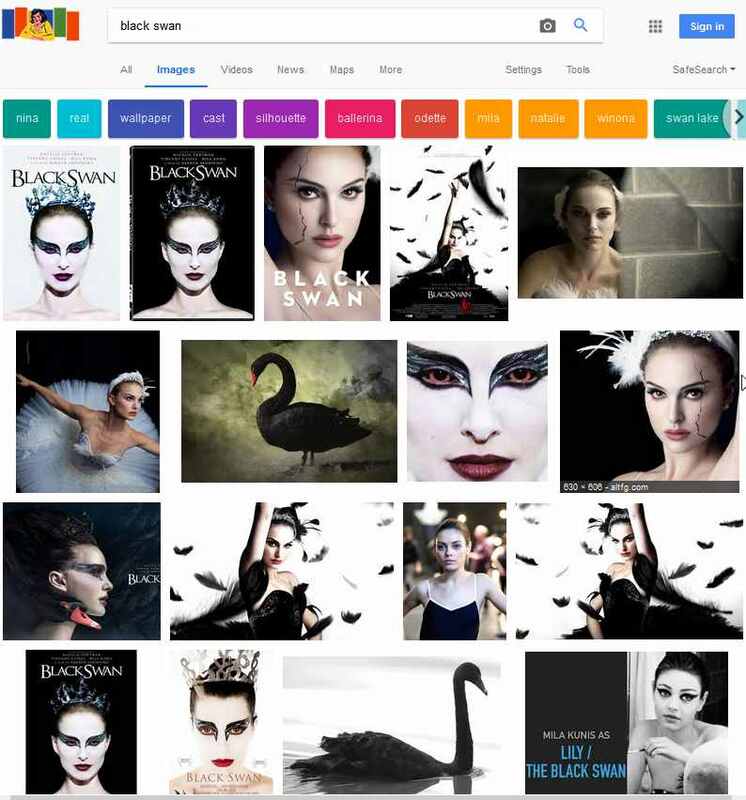 “Black swan” is going to be a bit tricky. Not only is it an actual animal, but it’s a well-known film and a popular book on risk and randomness by Nassim Taleb. Ideally, we’ll see images pertaining to all of these, but the Internet is a popularity contest so odds are good that we’ll see more of the movie than anything else. 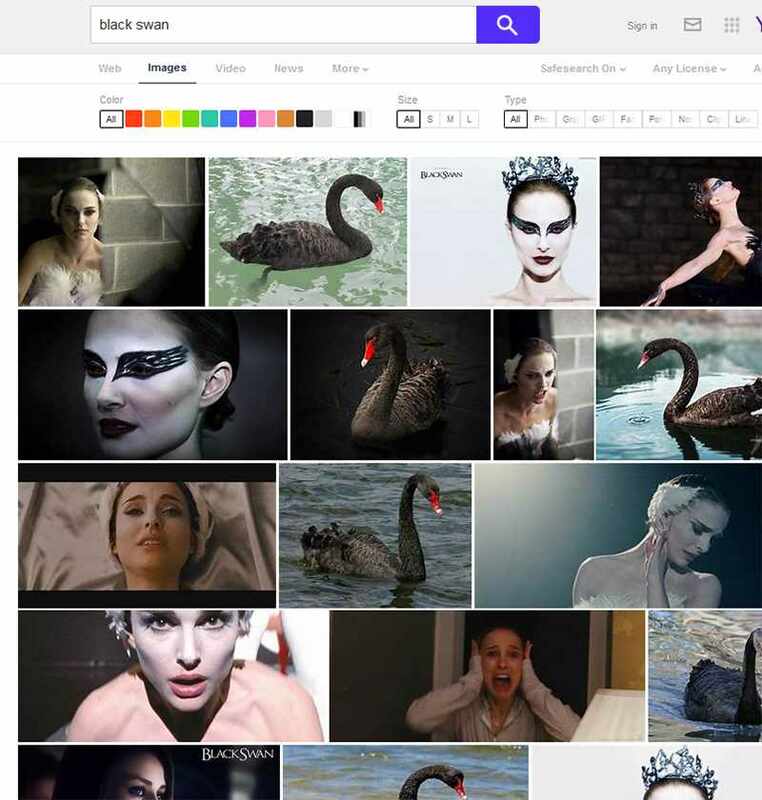 Natalie Portman wins this one, along with Bing. 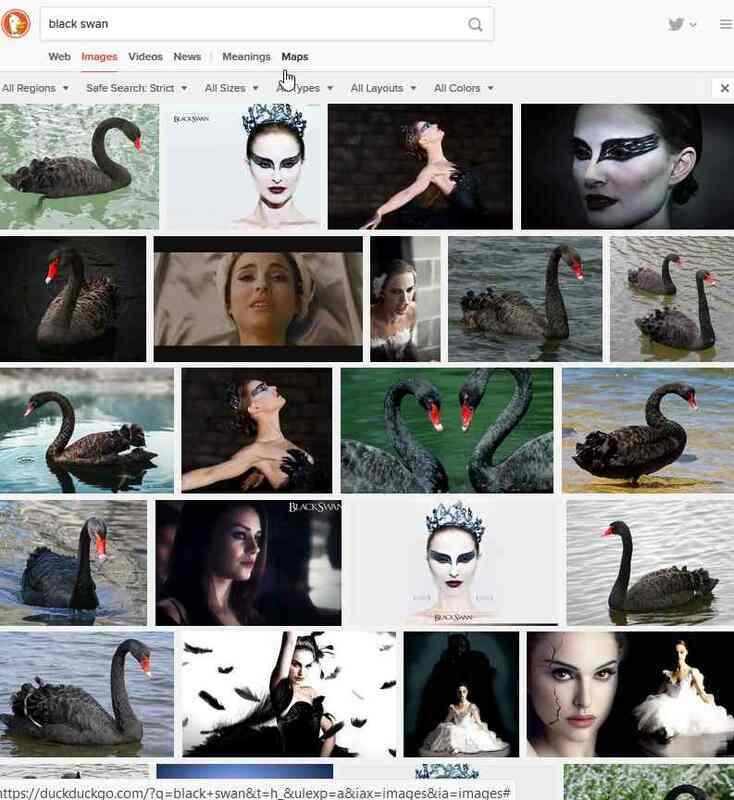 It returns a slightly wider variety of images, and its suggested search terms above are better than Google’s. 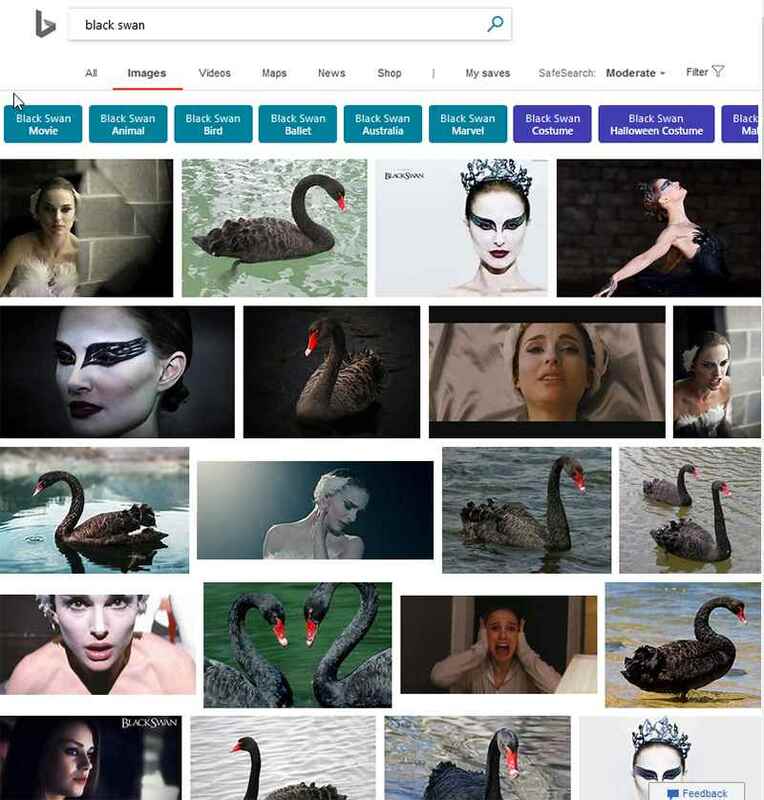 Google seems to mostly assume that you’re looking for something related to the Black Swan film, while Bing offers a variety of non-film-related options in case you were looking for the bird or the book. 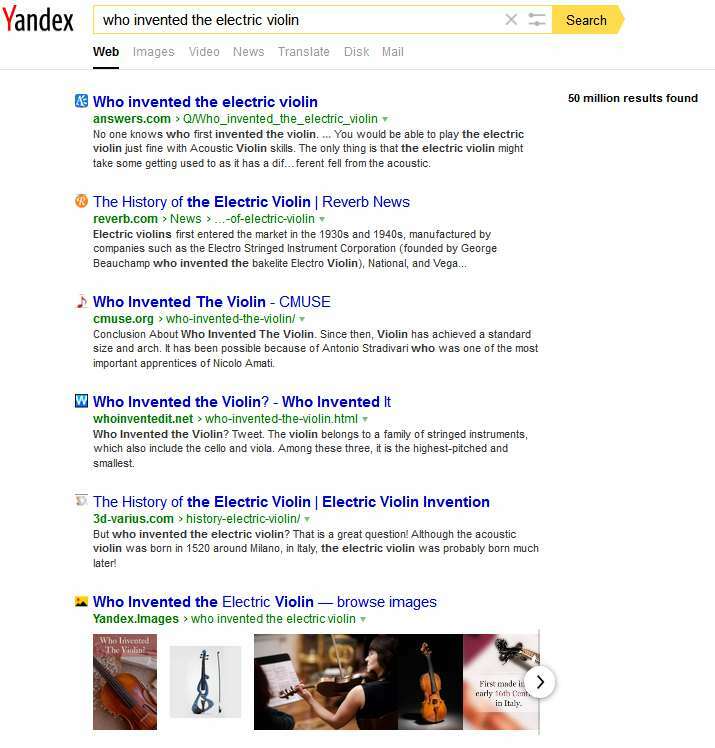 DuckDuckGo and Yahoo have good results, but their filters and suggestions are a bit lacking. And then there’s Dogpile. 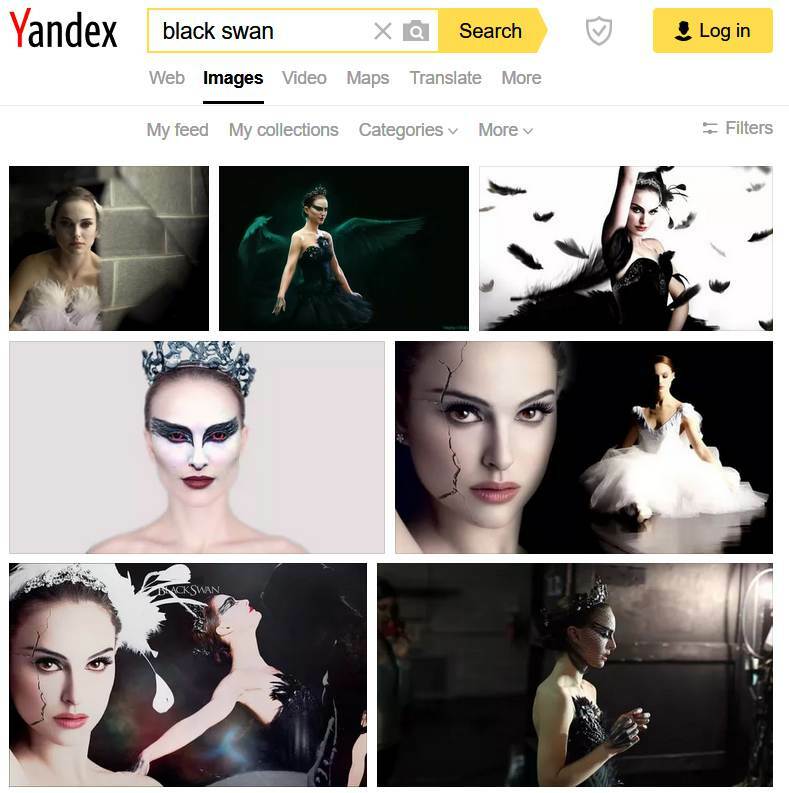 This image search was a new low for it. It returned similar images to all the other engines, but the ads were annoying to scroll past and there were only a few images per page. It’s 2018 – I want my pictures to magically appear as I scroll, please. 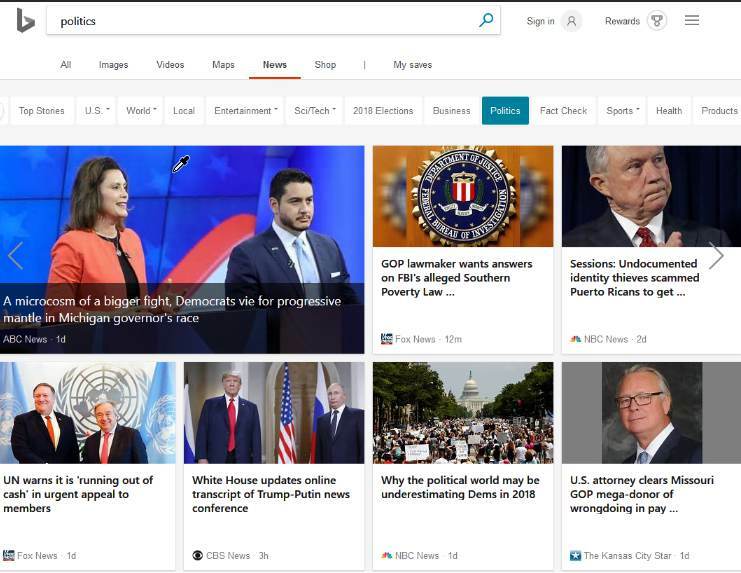 After a few more searches, Bing still seems to have the edge as far as finding and categorizing images, but Google was often smoother to use when it came to scrolling through the photos. 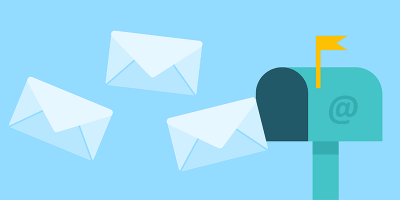 About half of the sites tested have their own dedicated news pages, but in the interests of fairness, this test was carried out by using the search function and then clicking the news tab. 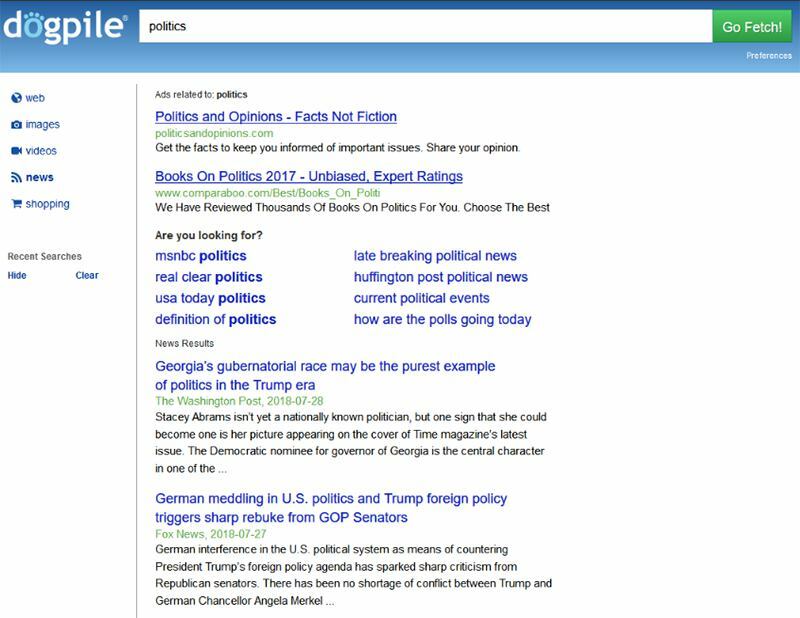 “Politics” is a pretty broad search term, but because news is so broad and quickly-changing, most of the judgement here will be on how the results are displayed rather than the content itself. 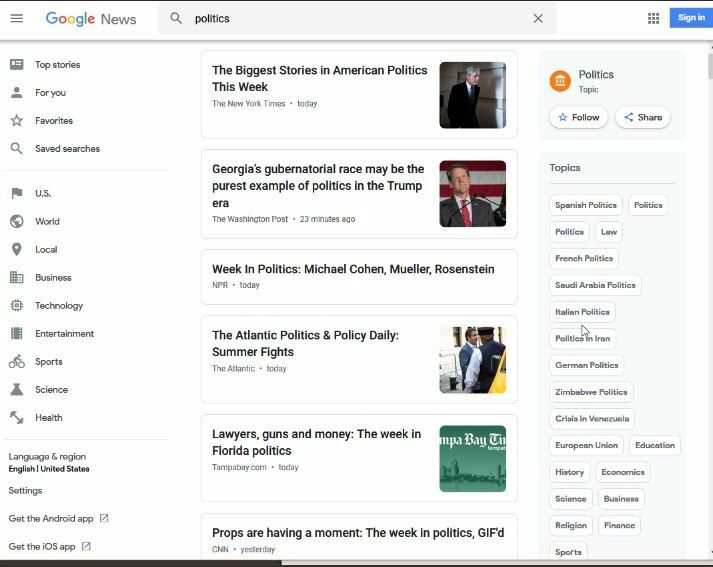 In terms of presentation, Google and Bing are neck-and-neck; Google’s clean, minimalistic feed works well, but Bing’s glossier spread catches the eye. They both have easy access to tags and filters and both show a good variety of sources and topics. 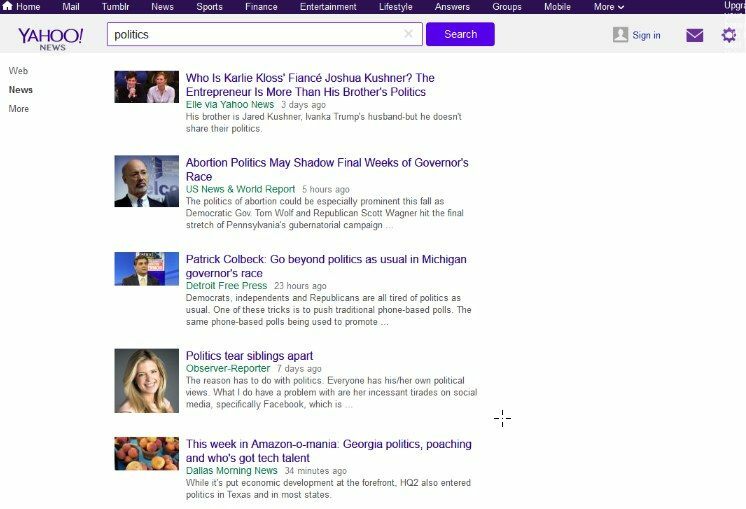 Yahoo’s front page has a decent news layout, but their news search doesn’t deliver the same experience. 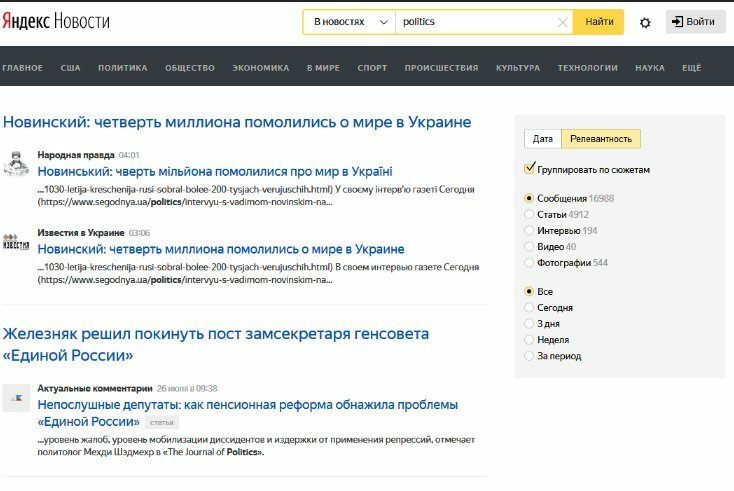 Yandex, it turns out, only returns Russian-language news. 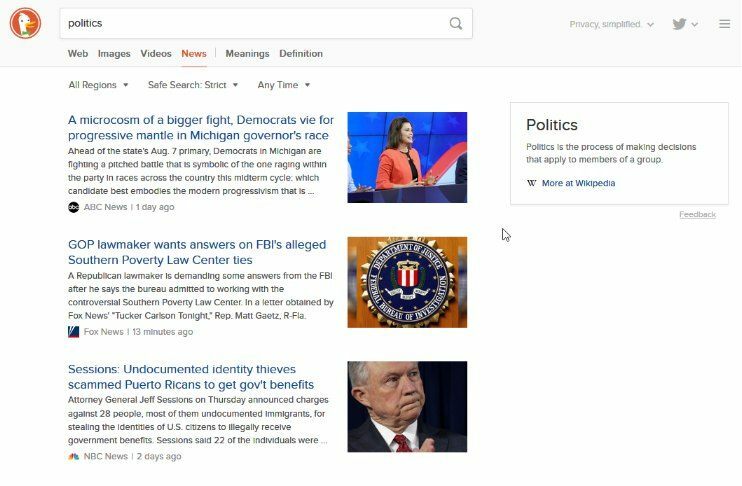 DuckDuckGo’s news features just feel like doing a normal search, nothing much there. Dogpile’s results don’t have any pictures, but at least they have some decent search suggestions. A few more searches for specific types of news – scientific, regional, etc. – and not really changed much. Both Google and Bing return pretty good results for most searches, though I did find myself gravitating back towards Bing’s nicer layout. 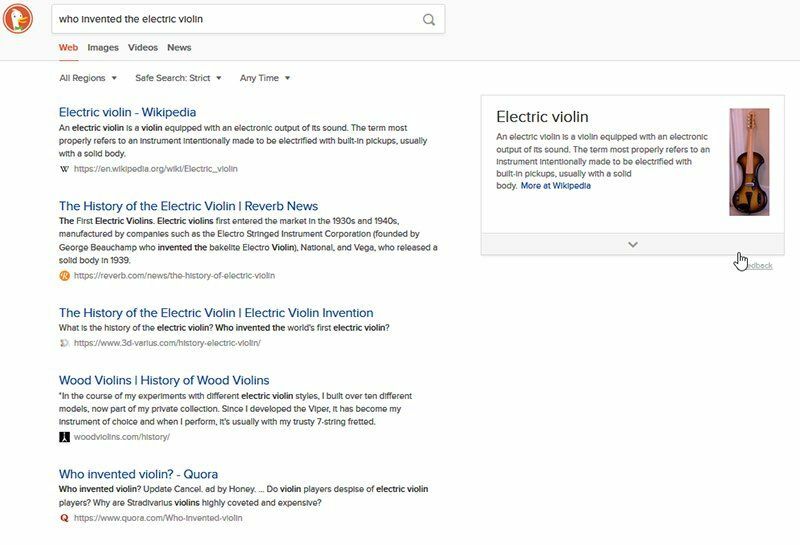 Bing technically won more categories because of its nicer layout, but Google wins at the most important task: searching for information. DuckDuckGo’s search results and layout leave quite a bit to be desired, but it gets second place because it actually has something that differentiates it from the top dogs: strong privacy protections. Yahoo isn’t great. It’s also not terrible. It just doesn’t have enough that sets it apart from the other options. It’s probably better if you’re Russian. It really seems like no one has updated anything about Dogpile since 2010, which is a pity – it’s still a pretty good idea. 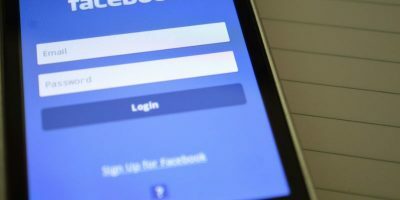 I use StartPage (https://www.startpage.com/) – it claims to provide Google search results with privacy protection. 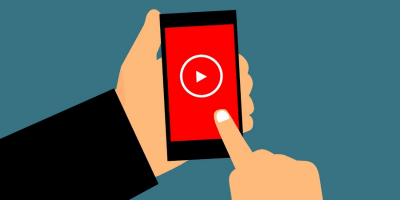 In practice, it does a good job, but Google still enhances the results – they aren’t identical. I checked out Startpage while I was writing this and it looks good! I’d definitely be curious to see how closely it mirrors Google. I’ve been using Startpage for a while. 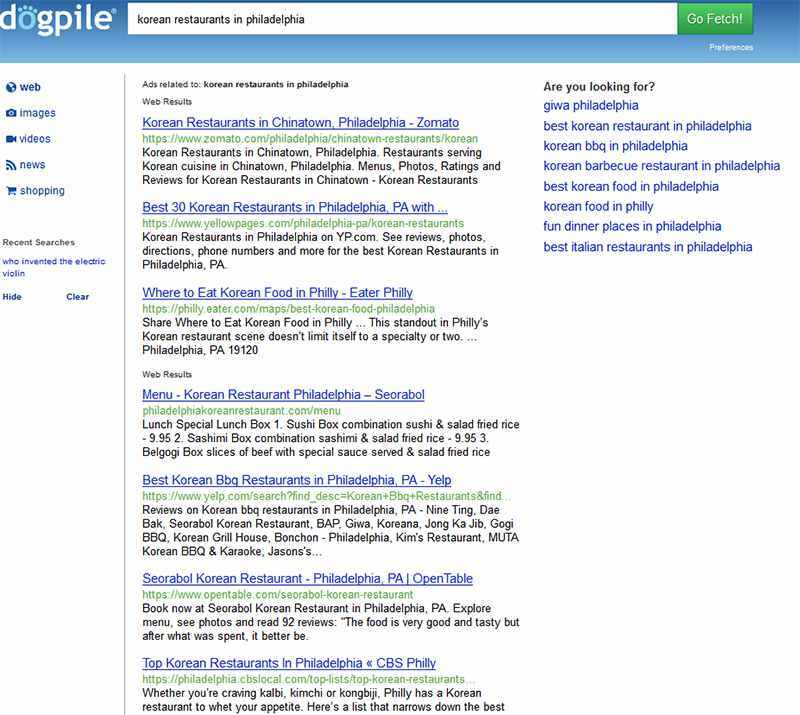 Excellent search engine without Google’s privacy weaknesses. Same here. Only StartPage user. 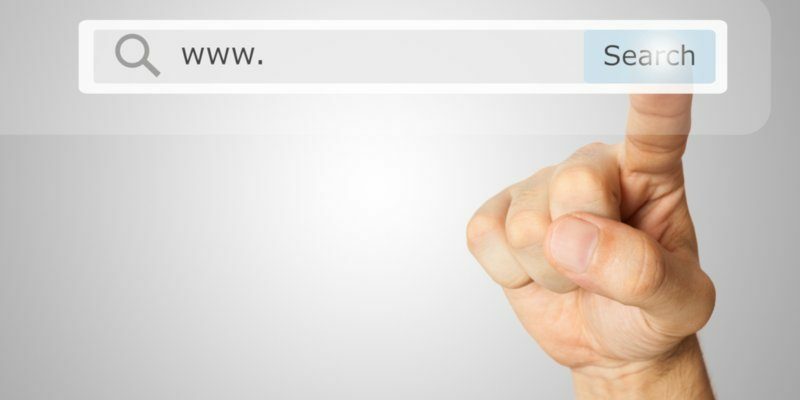 Excellent review of search engines. Very useful. Your approach to maintain neutrality is appreciated. I would not have chosen a broad term like politics for News. Very difficult to do justice. First I’ve heard of ResearchBuzz–thanks for the pointer! It was an interesting topic to cover, though part of me still wants to spend a few extra hours defining better quality criteria, expanding my dataset, and plugging everything into a stats package. Never heard of “Dogpile”, but it seems to me that if you call your self something like that, you have either a low opinion of yourself, or you are just plain weird. In this case it looks like both. 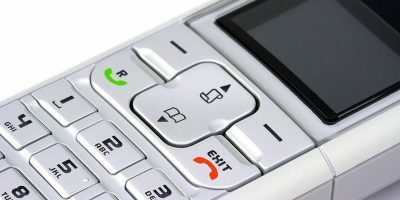 It was big in the mid-2000’s, like around 2004–2005. Not as big as Google obviously, but it was often the first choice for those who, for whatever reasons, wanted to use a “different” search engine⁠ ⁠— in a manner not unlike Duck Duck Go is today. In spite of all its perceived shortcomings as compared to Google and Bing, DDG is #1 in my book because of its privacy policies. eye candy and glitz only serve to blind the user to the data harvesting going on behind the scene. What is the best engine to find financial news and information about companies, markets, stock prices, commentaries to make better investment decisions, etc? As far as I know, there is no search engine dedicated to stock and financial information. 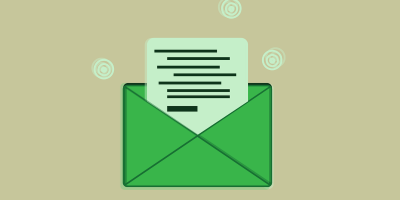 However, there are dozens of sites that provide that information. I suggest you use your favorite search engine to find the types of information you are looking for and follow the links. A good place to start for this kind of information is The Motley Fool at www.fool.com . It’s a great place to learn the basics and get your feet wet.